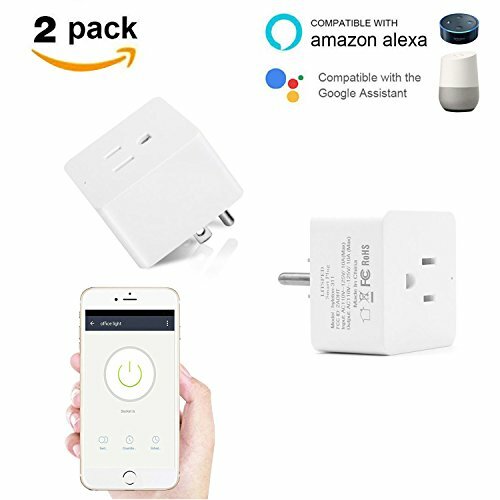 You need a smart plug. You need a LITSPED smart plug. You can set up "Smart Home" AAP easily on your android or ios smart phone tablet devices. No hub required. You can control household appliances & electrical equipment such as lamps, lighting, TV, toaster, coffee maker,rice cooker,electrical oven, electric fan and so on. You can set up your customized schedule or timer to automatically turn on and off any home Electronics or appliances such as lamps, Christmas Lighting, coffee maker, etc. 3,Put the socket in proper condition and keep out of reach of the children. 4,Plug in fully to the socket while using. 5,Do not disassemble or install the socket,otherwise there may cause security risks. 6,Please check if there is damage caused by transportation. if yes,please control supplier for repalcement.